Five times a year my mentor and friend Miranda Gray sends a powerful transmission of Sacred Feminine energy to women all over the world. It’s called the Worldwide Womb Blessing, and the next one is happening on April 30. 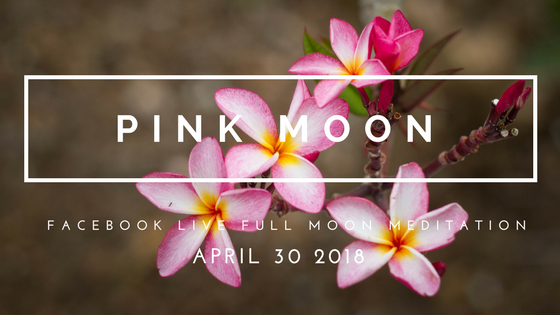 For this month’s full moon meditation, we’ll be joining 180,000 women from 150 countries worldwide with our own virtual Womb Blessing circle where I’ll guide you step by step to receive the energies. April’s full moon is known as the Full Pink Moon. But don’t expect to look up and see a rosy orb around the moon. (It’s not literally going to be pink, unfortunately!) This moon was named for the wild pink phlox flowers that covered the ground this time of year in the Northern Hemisphere. Regardless of your hemisphere, each Worldwide Womb Blessing features a specific colour for the rays of moonlight we breathe in during the closing meditation, and the colour for April is magenta pink. Either way, on this Full Pink Moon we’ll restore sacred feminine energy—for ourselves and for the world—by bathing our female bodies and our life-giving wombs in beautiful moon rays of magenta pink light. Our circle will gather on Monday, April 30 at 6:30 pm Eastern, 3:30 pm Pacific, 11:30 pm UK.